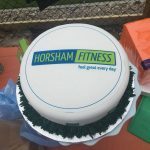 I am one of the founding members of Horsham Fitness, as I joined shortly after Katie and Mark started it. Exercising a few times a week resulted in much wanted weight loss. Fast forward to beginning of this year and I found myself in that common mistake of thinking that it's okay to have an extra biscuit/glass of wine, as a reward, because I am doing boot camp four times a week! This combined with the taboo of menopause had resulted in the pounds slowly, but surely piling on. Deep down I knew I needed to do something, but ignoring the problem was much easier than taking any action. A friend of mine has started running Chris Hill Beat my Addiction retreat workshops and so I joined her for a weekend in March, just to see what all the fuss was about. By Sunday, I had decided to give up all sugars, alcohol and caffeine. 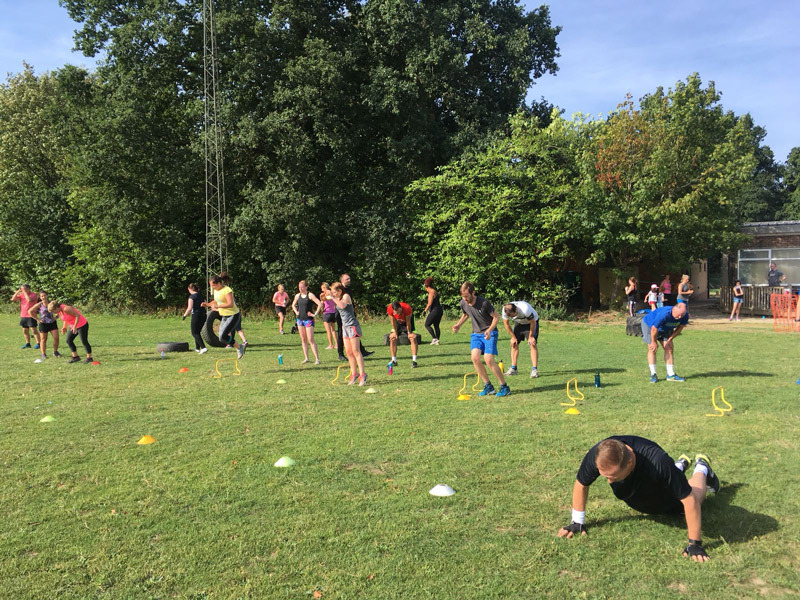 Daily exercise and being outdoors is a big part of the Chris Hill Program and that's why Horsham Fitness is SO important. Katie and Mark have been absolutely amazing, encouraging and supportive all the way. The workouts are challenging, but it’s never a competition. 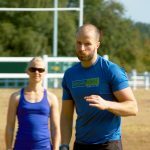 We all work to our own level of fitness, with Mark and Katie concentrating on the positive and providing individual support at every class. Working outside in a group is so much more fun than going to gym by yourself. Following the Chris Hill Plan to give up sugars and alcohol wasn't as hard as you might think. Katie, Mark and the 09.30 Ladies have played a big part in helping me achieve my goal and for that I am forever grateful. 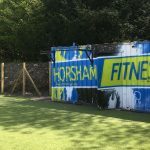 I came across Horsham Fitness by chance about 18 months ago, while I was googling gyms in Horsham. 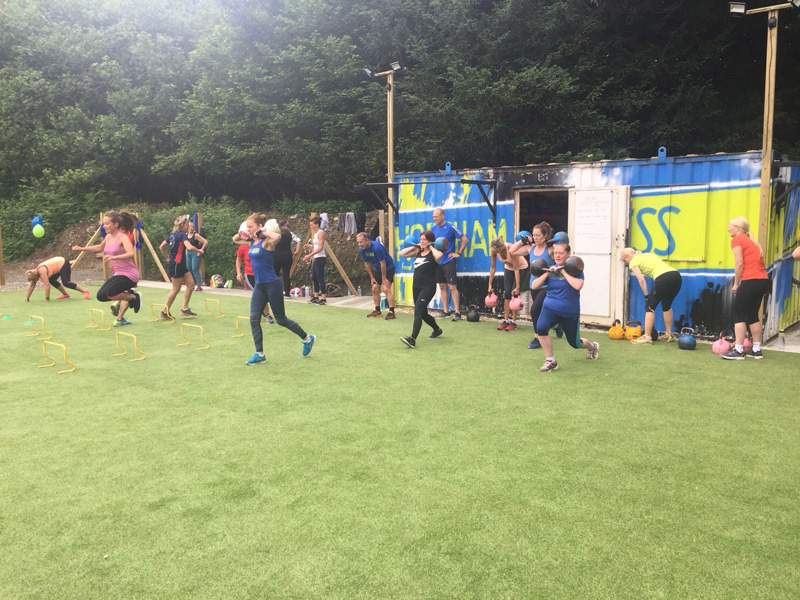 I was slightly apprehensive of the boot camp concept, but as luck would have it, the following Saturday was a free taster session so I thought I'd give it a go! After surviving (and enjoying!) 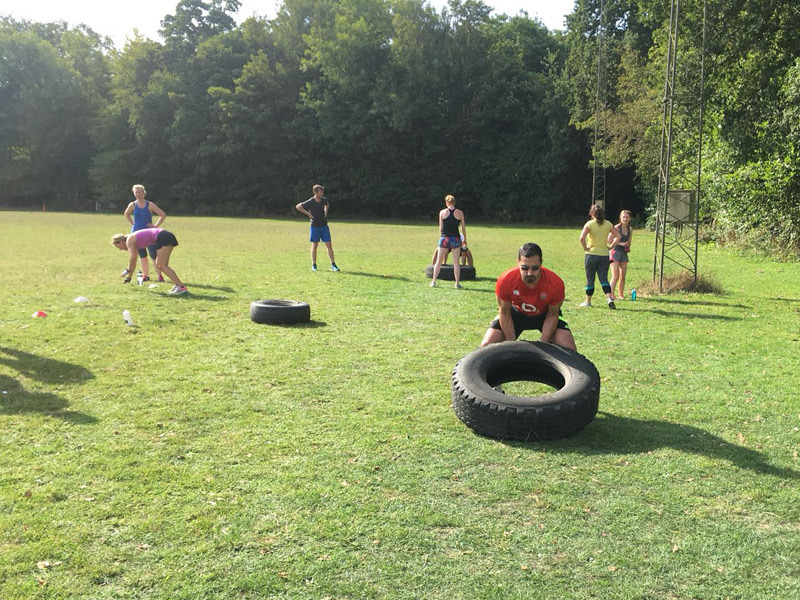 that session, I became a Horsham Fitness regular and from day 1 was welcomed by Katie, Mark, Don and the people who are now my fellow Horsham Fitties. 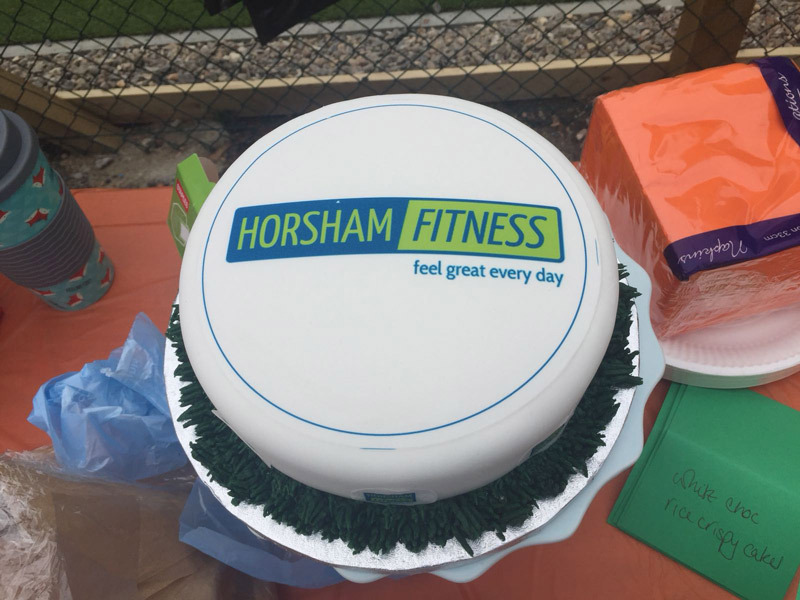 There are a few things that make Horsham Fitness different from other gyms. First is the team that runs it. Come rain, snow or sunshine, they are always there with a smile on their faces and words of encouragement. The programme they design is ever changeable and adaptable for all abilities, so it can be as challenging or as easy as you personally want it to be. While I can't say I've ever read the whiteboard and been happy with what I've seen (there's always too much of something - too many gate runs, too many squat thrusts, too many burpees to name but a few), before I know it, 45 minutes have passed, I've somehow completed everything on the dreaded board AND I've had fun doing it! Credit for that has to go to the people I train with (especially the 7:15 crew) who welcomed me, made me feel like part of their team, encouraged me, laughed with me (or was it at me?) and celebrated successes with me. I completed the 6 week body challenge last year, losing about 5kgs, but most importantly making sustainable lifestyle changes that mean as I fast approach my 40th birthday, I'm fitter and stronger than I ever have been previously. I think exercising outside has far more benefits than in some sweaty gym. Being in the fresh air whilst working hard has kept me truly mindful for the duration of the session. 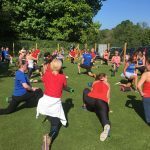 Having said that, my favourite sessions are the partner workouts so I can catch up with my booty buddies Ellie and Julie; I still struggle to breathe even after the years of attending but full respect goes to Ellie who can talk and exercise! In all honesty, having never been an ‘exercise person’ until I joined HF I never knew how much I would love it and see the benefits physically / mentally / emotionally – even spiritually if you count watching the dawn come whilst continuing to attempt double unders. An enjoyable way to exercise. 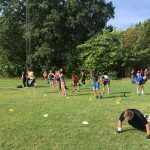 I had seen Horsham Fitness groups training on the evenings when my sons were at rugby training. A few of the parents joined Horsham Fitness rather than standing in the mud getting cold watching the rugby training. Eventually I worked up to courage to join. Everyone was so welcoming and there is no pressure, you work to your own level with no judgement. 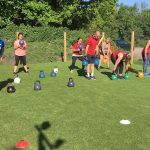 There is always a choice of exercises, you can choose the heavy kettle bell or no kettle bell at all; gate run or only half way or skip instead. 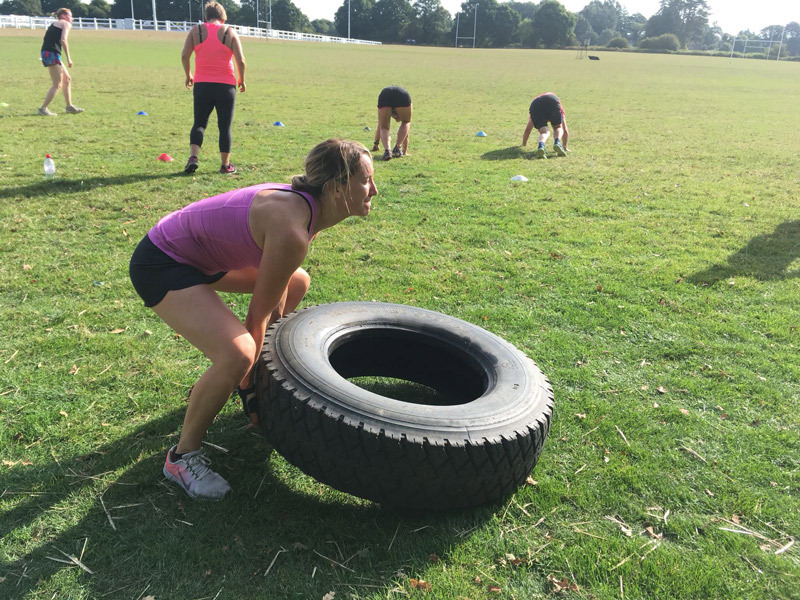 You exercise to your own ability and level and always with the encouragement of the trainers and your fellow Horsham Fitness members. It is great that each session is different . Mondays are my least favourite session, and my boxing partner on Wednesday can usually tell if I have had a bad day at work by how hard I punch the pads! My colleagues at work are always amazed that we exercise whatever the weather, but that’s part of the fun, clearing a small patch of the tarmac from snow so the class could go ahead , or following the shade on the field on a summers evening and the more usual rain! Since joining Horsham Fitness I have gone from attending sporadically to completing the 6 week body challenge. I am lighter and fitter than before and actually enjoy exercising ! Due to the choice of sessions during the week I can usually manage to attend 3 times a week and willingly get up on a Saturday morning to exercise. It certainly feels good to get home at 9.30 on a Saturday morning having completed the session , to find my family still in bed. Whatever time slot you attend you are always welcomed and there is always friendly banter to help you get through the sessions . Katie, Mark and Don are always on hand with encouragement and advice whatever the weather . The newly opened training area is a great addition and no one is too upset that the Gate run has shortened! I have been coming to HF since 2012 with a few breaks in between and it has kept me motivated and interested in fitness. I love that all the sessions are different and I can just turn up at 6am half asleep and not even think about what I have to do as it as already been structured for me. I recently wanted to up my game and Mark has taken that on board and has pushed and encouraged me to work harder and improve my technique, it has been like have a PT even in a group session! The last few months I have lost 10lbs and 10cm of my waist so I am mega happy and my upper body is really taking shape. 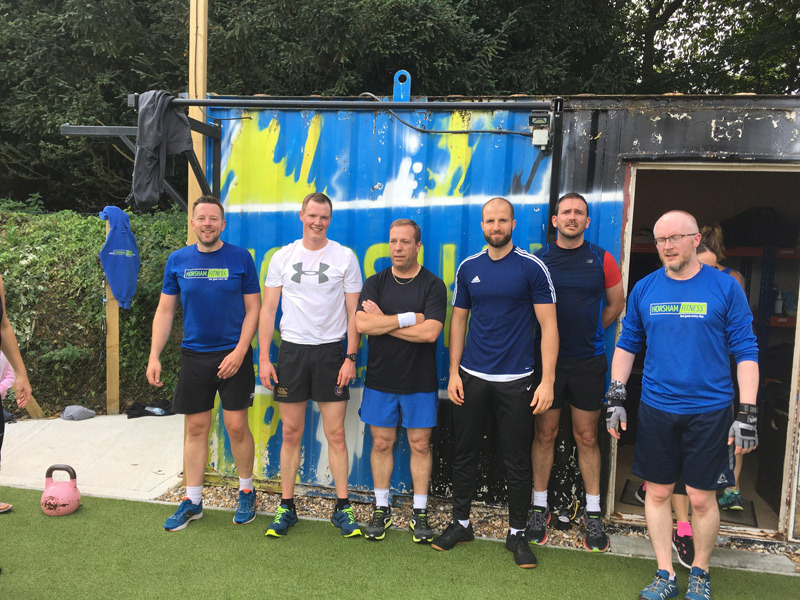 We all have become friends, we make each other accountable and also have a laugh - it is a great way to start the day and I wouldn't want to miss a session. 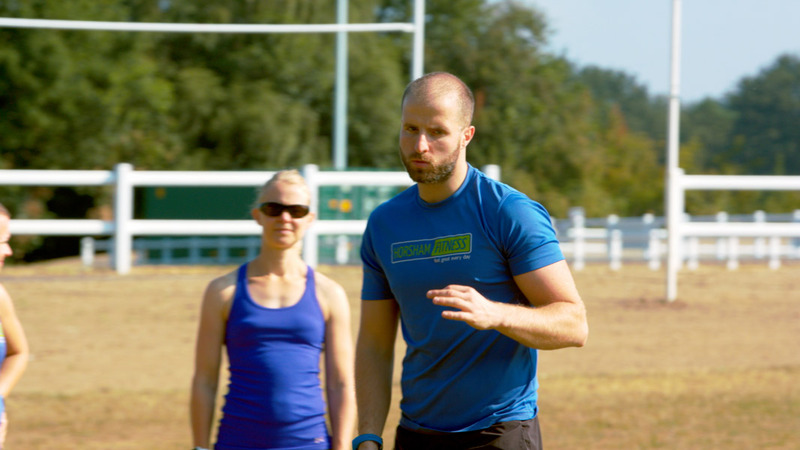 When Katie and Mark set up Horsham Fitness making the switch really was a no brainer. Their enthusiasm and love of all things health and fitness is as infectious as the workouts. 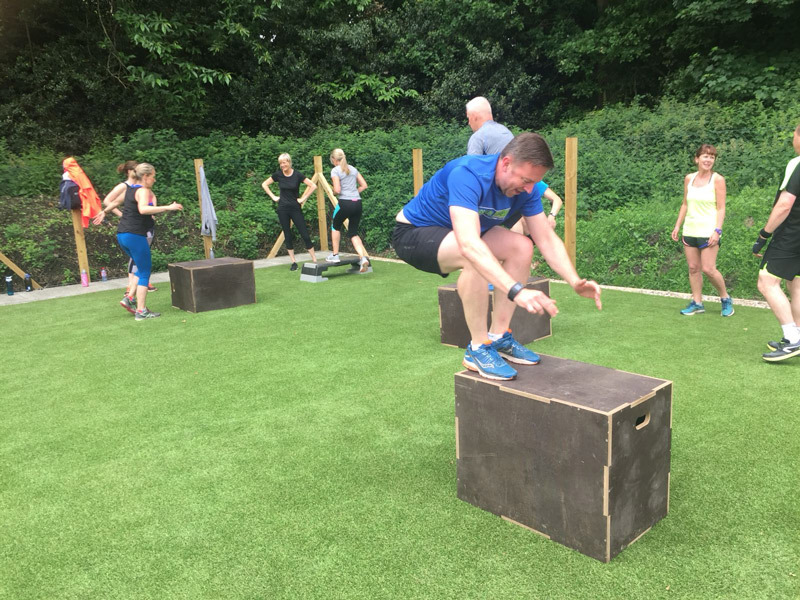 As a group we have a great time together, the camaraderie really spurs you on (as do the trainers) and the outdoor setting and fresh air beats a gym any day. The session flexibility is a big draw for me and it's been very easy to work it into my weekly routine. 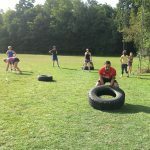 I train three times a week with Horsham Fitness each session being just 45 intense minutes long. 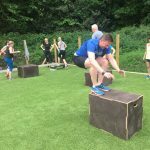 Originally Horsham Fitness complemented my rehab after knee surgery but now it forms the basis of a healthier me getting me over the finish line of various road and obstacle runs. Since joining I'm really happy with my progress and with two functioning knees I'm probably the fittest I've ever been. 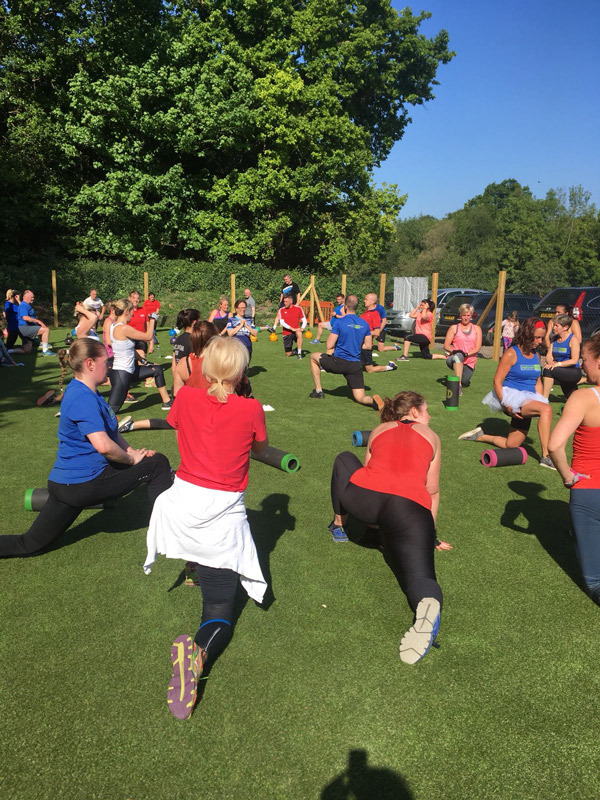 There is no typical attendee at Horsham Fitness, it's all things to all people united by a desire for self-improvement. I thoroughly recommend it. 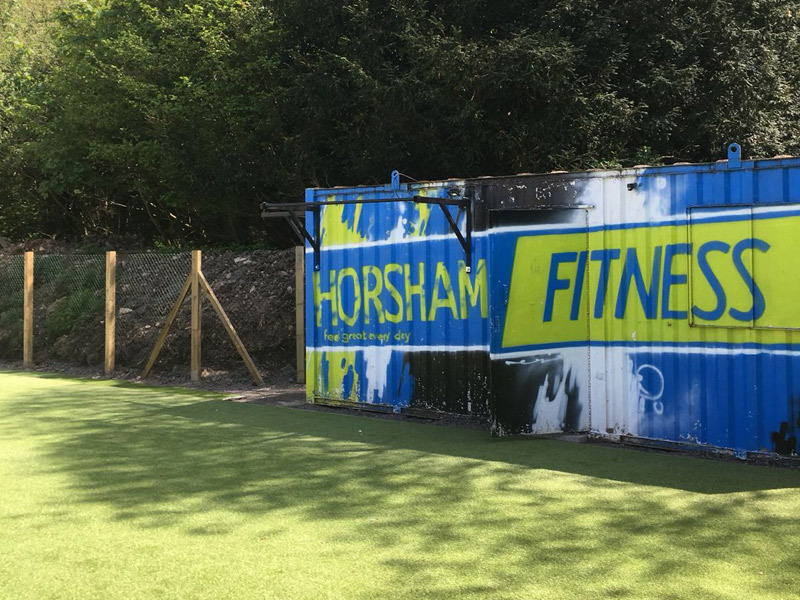 I've attended Horsham Fitness since it launched 2 years ago and try to go three times a week and it's quite simply got me fitter than I've ever been. 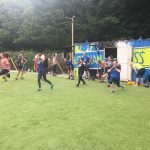 For me, having been a particularly unfit, very asthmatic child I have tried a number of ways to get fit as I got older, but found gyms and classes both too stifling and too intimidating. The idea of working out outdoors really appealed to me and this is one of the best things about HF; no whiff of sweaty bodies...just fresh, pretty invigorating, air!! 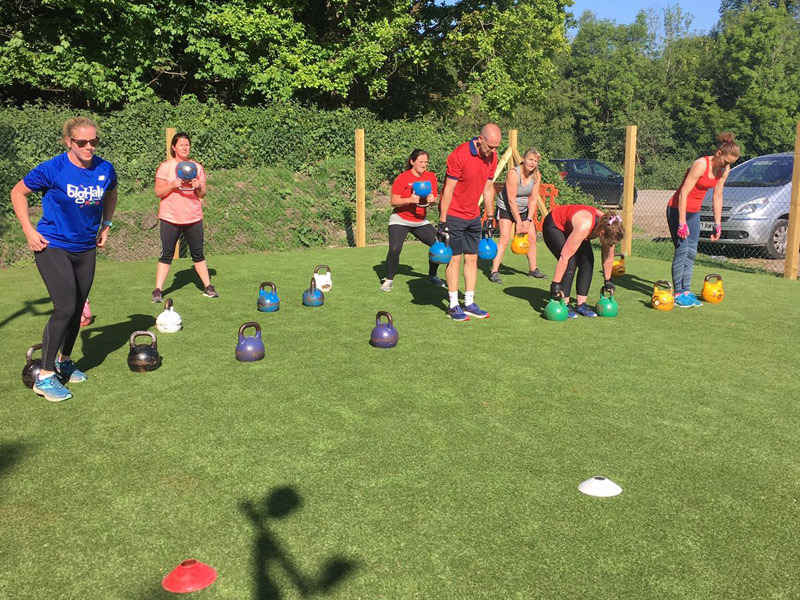 I love the variety that HF offers , every six week block is different and Katie and Mark invest in their business with new equipment and well planned work out sessions, and exercises can be tailored to suit your fitness level ... whilst always challenging you to hold that plank longer, squat deeper or try the next weight of kettle bell! Self motivation is not one of my strongest points, I need the discipline of working with a group. 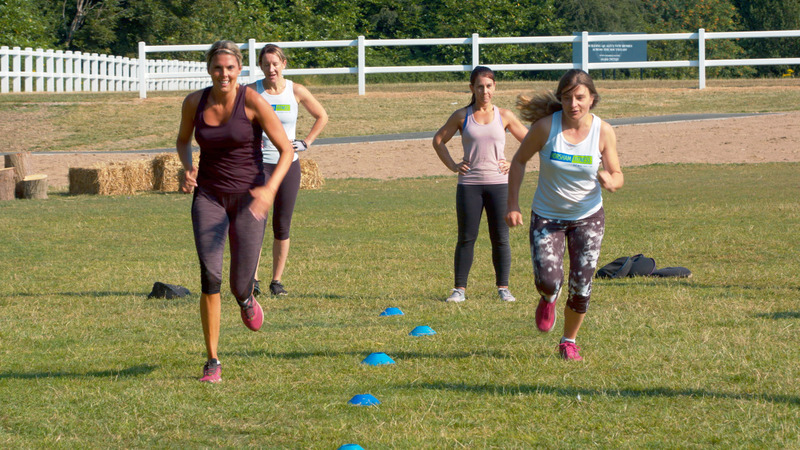 Horsham Fitness provides that motivation in a friendly supportive way. 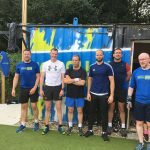 After years of “boring” gym work I have found a programme that not only provides great results but does so in a group environment where everyone is made to feel a member of the team. Encouragement and variety are key, Katie and Mark concentrate on the positive, providing individuals with that support at every class. I can honestly say joining HF is one of the best things I have done. My one regret is that I didn't join earlier. I hesitated about joining, thinking that boot camp was only for super fit young athletes but I needn’t have worried. There is a great variation in levels of fitness and ages but all are made welcome and no one is left out. As I approach my 60th birthday I find it keeps me mobile, strong, fit and young. I also find it great that after a few months I am now able to keep up with members half my age. If you’d told me a couple of years ago that I would genuinely enjoy getting up early on a Saturday morning to do exercise I'd have thought you were mad! But Horsham Fitness is addictive! In the two years since I’ve been coming I’ve not only noticed a huge improvement in my fitness and strength, but I've had a great time in the process and made some really good friends. Katie and Mark are both hugely enthusiastic and motivating. 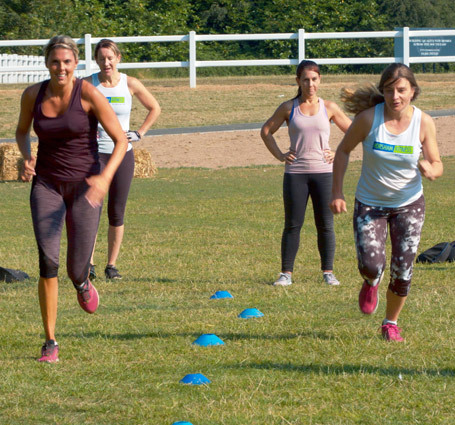 They create fun but challenging workouts that cater to all levels of fitness and provide personalised advice to ensure you get results. 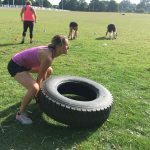 Coming to Horsham Fitness is never a chore and it's great to be able to get a full body workout without having to think about planning it yourself.